We English are so polite. Like most of my compatriots, if I visit a garden that I don’t like, I don’t write about it; but all that is about to change, no more Mr Nice Guy. I have resolved to be more like a restaurant critic and give gardens the reviews they deserve, and I can think of nowhere that deserves a bad review more than Painshill. 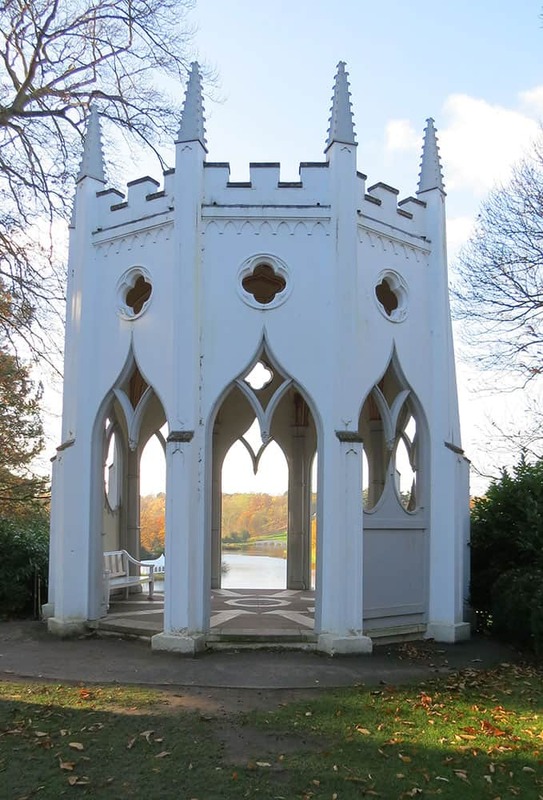 There are few Rococo-style gardens, like Painshill, for a very good reason; the 18th century followers of fashion got tired of ‘fanciful naturalness’ and moved on. 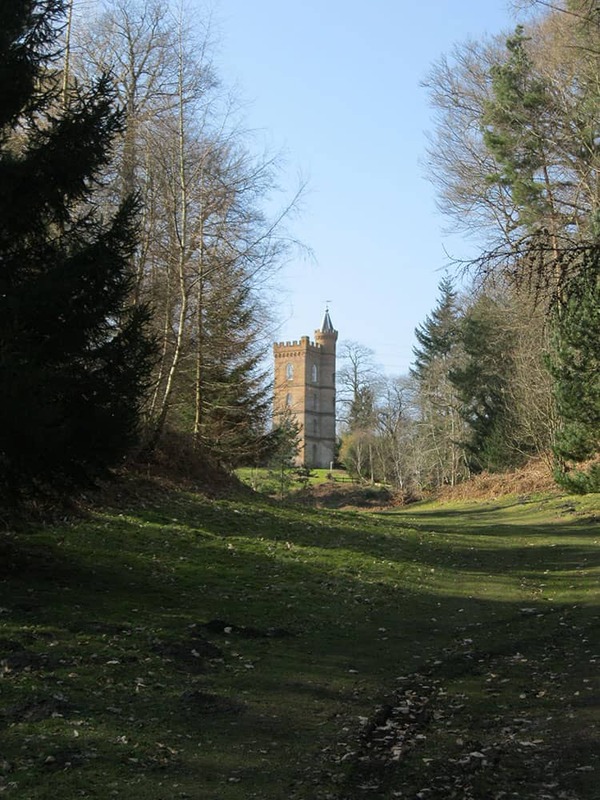 Our three greatest Rococo gardens, Painswick, Painshill and Hestercombe’s Landscape Garden are all late 20th century reconstructions, and in the case of Painshill a 30 year project that will take at least another ten years to complete. Top marks for sticking with it. The clear impression I get of Charles Hamilton, Painshill’s creator, is of a man living beyond his means, with an obsession to be an arbiter of good taste and to be at the vanguard of fashion. 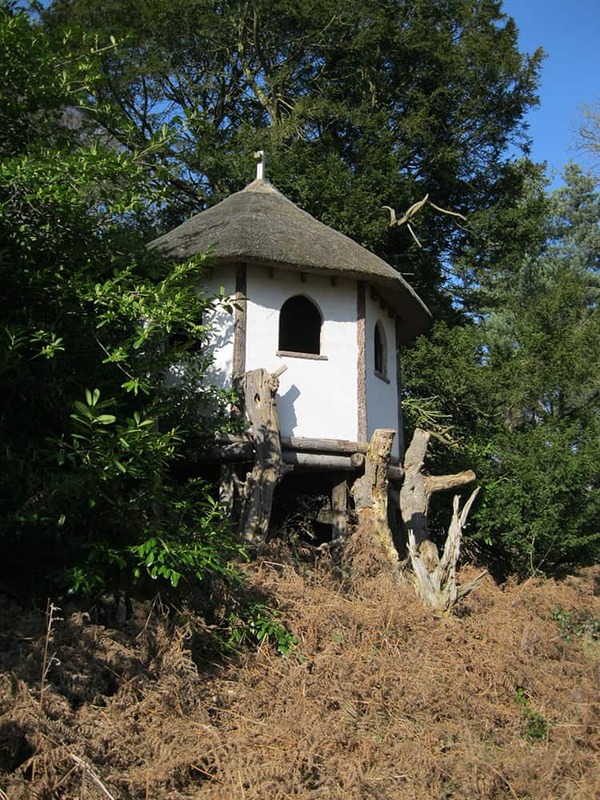 This was the age of Plant Mania when seeds and exotic specimens were flooding into England from all over the world, and visitors to Painshill marvelled at the fiery autumn colours of American oaks and liquidambers, and the new arrivals hidden away in ‘studs’ (beds) set in the landscape. Painshill is also a rare example of ‘theatrical shrubbery’ a bizarre fashion for tiered planting popular in early 18th century Italy. 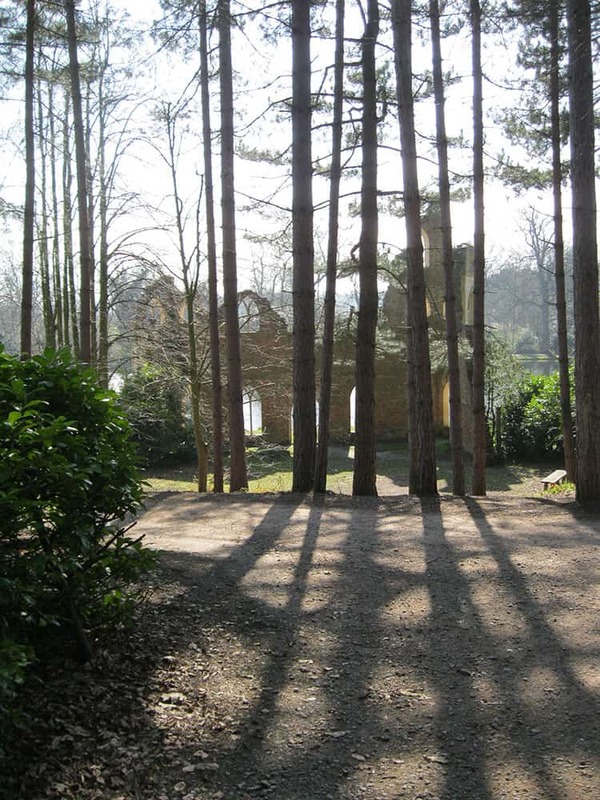 The other great 18th century gentleman’s obsession was the landscape garden which, by Hamilton’s time had become a rag bag of Gothic temples, Turkish tents, ruined abbeys, hermitages, grottoes, Greek temples, Chinese bridges, and towers; all of which were to be found at Painshill. 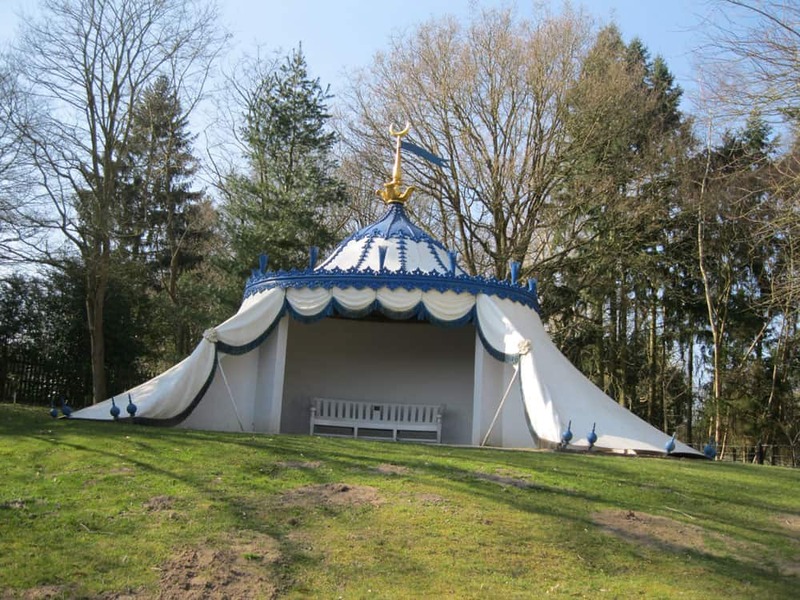 Whimsical theatricality was everything, so it didn’t matter that they were built of wood rendered to look like stone. Hamilton’s fanciful crystalline Grotto was on a scale I can only marvel at today. 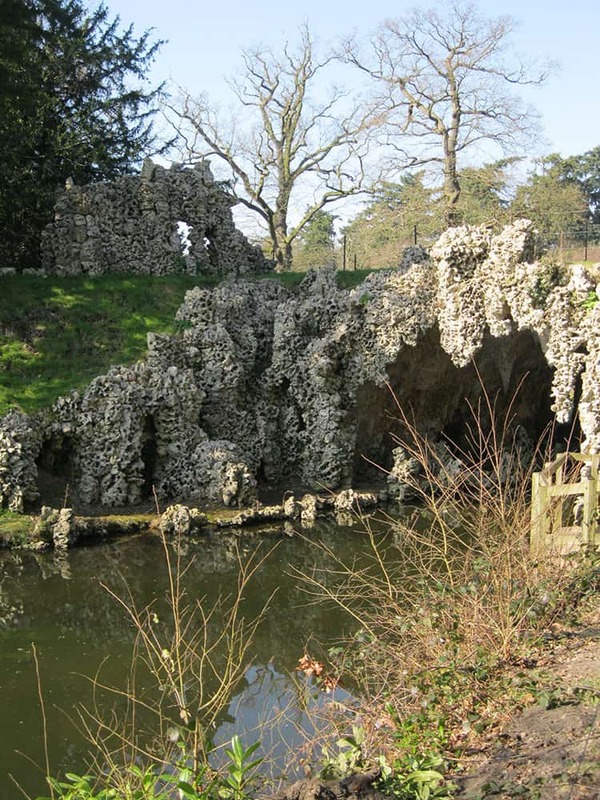 Built of tufa limestone, with hundreds of crystal-covered timber cones on its ceiling, in imitation of stalactites, it now would have cost over £600,000, and was one of twelve such garden follies. The rolling wooded countryside of Surrey naturally lends itself to the creation of a landscape garden, and the lake that forms the centrepiece of the garden provides a setting for some wonderful autumn photographs, but for me the illusion doesn’t work. The River Mole on the edge of Hamilton’s property lies at a lower level, and uncomfortably hugs the edge of the lake, with an inadequate screening of trees. At Trentham, a few years later, Capability Brown faced an almost identical problem, but resolved it successfully by making the belt of trees much wider. This is a garden that at every level makes me uncomfortable. The intellectual, literary and classical connotations of earlier landscape gardens had degenerated into something banal, and in terms of concept, continuity, planting and execution it simply doesn’t work. 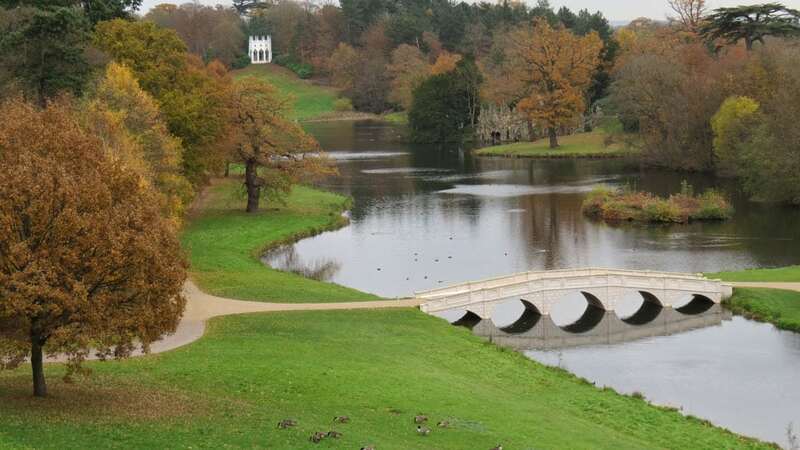 Painshill is a rarity that excites garden and plant historians, a historically important garden, but a blind alley in the history of the English Landscape Garden. It would be left to Kent, working at a similar time at Rousham, and later, Capability Brown to show the way forward. A case of more is less, rather than less is more. No wonder so few Rococo gardens remain.